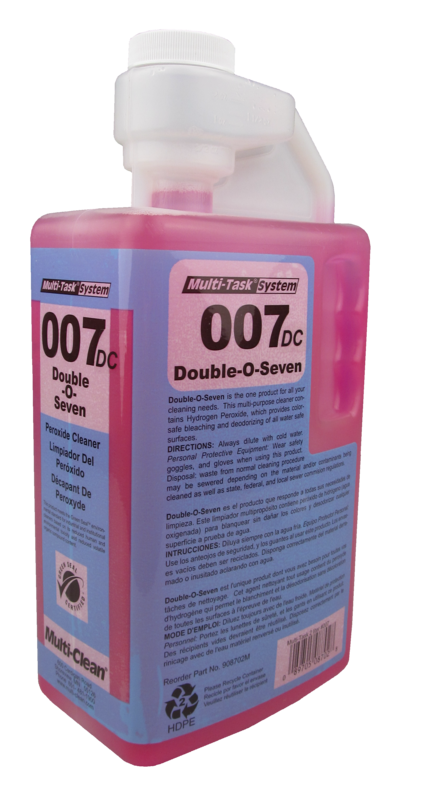 At Multi-Clean, we believe that the efficient and cost-effective cleaning operations of the future will have trained workers using the right products at the correct dilution. The Multi-Task Dilution Control System is designed to eliminate costly ready-to-use cleaning products and the wasteful free pouring of chemical concentrates. Training and safety compliance is made easy with color and number coded containers along with matching spray bottle labels. The patented Multi-Task packaging offers users a number of choices for accurate chemical dispensing using exclusive dispensing equipment or through the innovative squeeze and pour container. 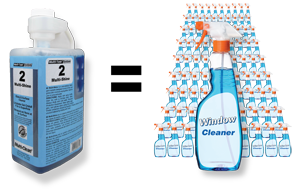 The line of concentrates includes a broad selection of certified green cleaning products, floor cleaners, restroom and all purpose cleaners. Spray N Wipe cleaner, tough on everyday grease and grime. Helps remove oil, grease, lipstick, pen ink, crayon, smoke, soot, iodine, soft drink, coffee, tea, animal fat, black heel marks, magic marker, soap film, etc. 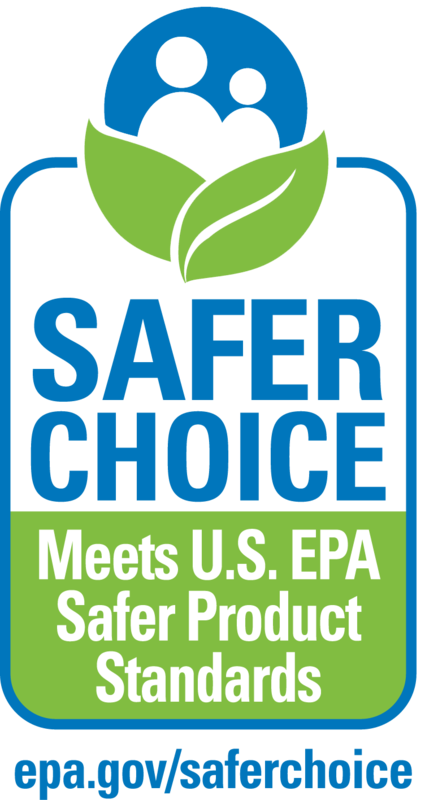 Safer Choice-labeled products meet EPA’s safer product standards. Restroom tub and tile cleaner removes hard water scale and soap scum, clinging foam insures maximum effectiveness on walls. New safe acid technology is non-corrosive to skin, yet has the cleaning power of strong acids. Concentrated cleaner/deodorizer leaves a lavender scent. Spray N wipe, mop on or auto scrub most surfaces. 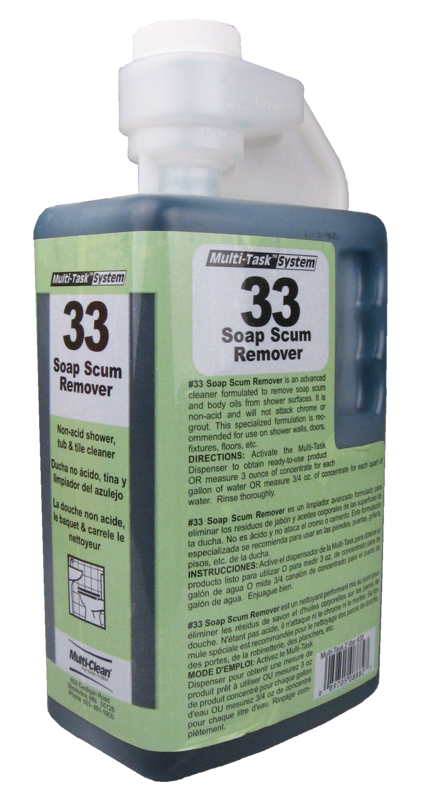 3 in 1 cleaner...Scrub, Burnish, Restore. Use SBR to clean surfaces immediately followed by burnishing to revive the gloss of floors. Solvents and plasticizing agents temporarily soften finish to enhance burnish response. No rinse food service sanitizer for use in food processing or preparation areas to effectively sanitize all surfaces after cleaning and rinsing. Can be used in 3-basin sink for proper sanitizing of knives, utensils, and pots. USDA D-2. Neutral pH 7 Non-alkaline formula helps retain high gloss on finished floors. Simply the best cleaner for UHS programs. Use on VCT, vinyl, rubber, laminate, sealed wood, marble, grouted tile, and natural stone floors. Neutra-Zyme is fortified with Bio-Zyme, a proprietary blend of bacterial spores and natural enzymes that provide superior cleaning power, both immediate and residual. The enzymes provide immediate consumption and neutralization of soils, while the bacterial spores remain on the surface and provide residual cleaning long after the cleaning. 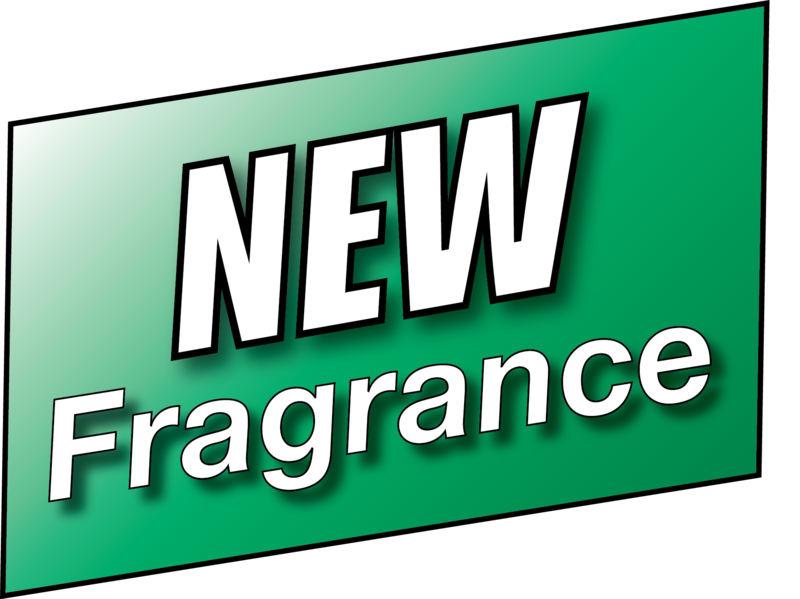 Concentrated odor counteractant uses neutralizer chemistry and leaves a tropical scent. Spray diluted product directly on odor causing source such as dumpsters, garbage cans, diaper pails, linen bins, portable toilets. A 3 in 1 product that effectively cleans, consumes, and freshens after the cleaning is done. Contains enzyme producing microbes. 19 Enzy-Clean is a biological and enzymatic floor degreaser in the Multi-Task concentrate system. It contains a synergistic blend of natural microorganisms that releases enzymes to consume and break down food, grease, and organic material. Non-acid tub and shower high foaming soap scum remover. 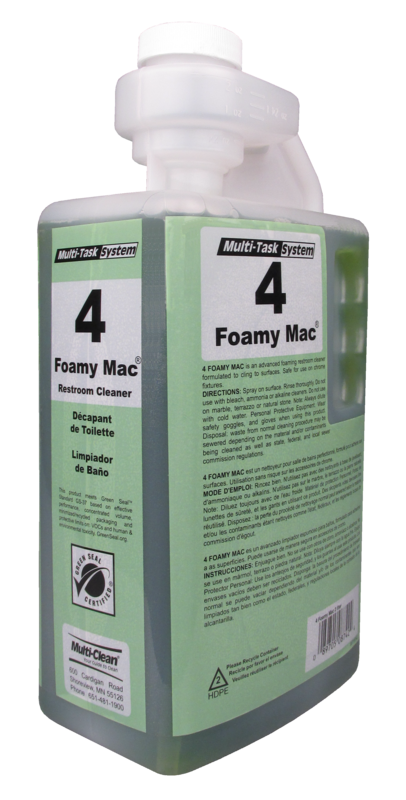 Rich clinging foam assures extended dwell time to loosen soap scum and mineral deposits. Effective on the following non-enveloped viruses: norovirus and adenovirus type 2. 64 Millennium Q meets the CDC guidelines for Infection Control in Hospitals for the EBOLA Virus. 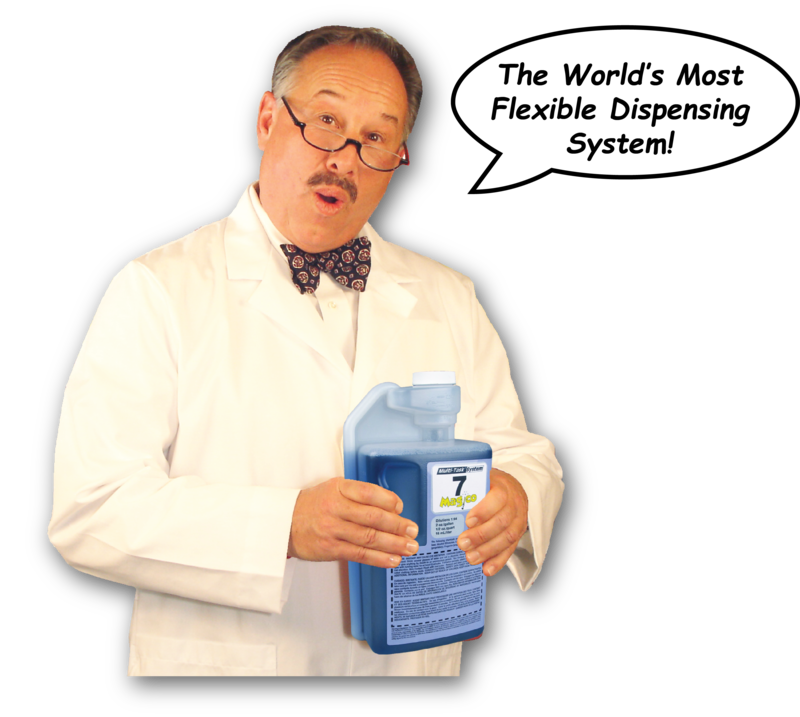 At 8 oz/gal (1:16), 64 Millennium Q is effective on Canine Parvovirus. An all purpose, environmentally responsible degreaser/cleaner. Applied with an automatic scrubber, mop, pressure washer, sponge, or brush for cleaning concrete, ceramic, walls, ceilings, painted surfaces, stainless steel, aluminum, chrome, cars and trucks, furniture, sealed wood. USDA C-1. Fury Degreaser is an advanced, heavy duty degreaser that removes oils and grease from a variety of surfaces. 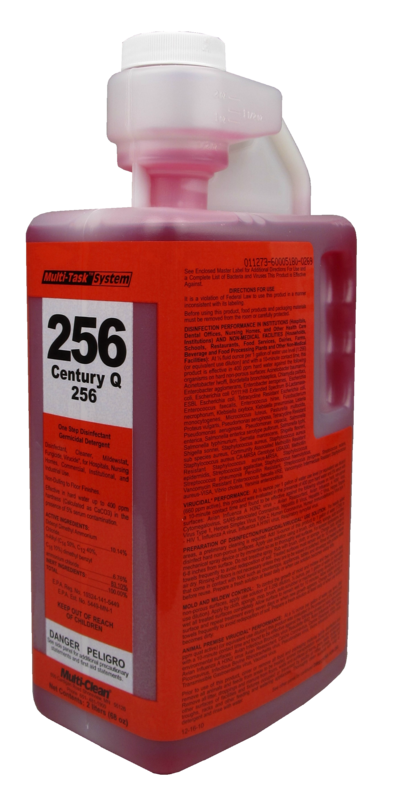 Fury’s controlled alkalinity makes it a non-corrosive class cleaner, ideal for shop degreasing at automotive dealerships, car/truck repair garages, industrial factories, warehouses, and much more. Reusable, refillable, trigger spray bottle with cartridges of concentrate that, when mixed with water, makes a quart of ready to use cleaning solution. 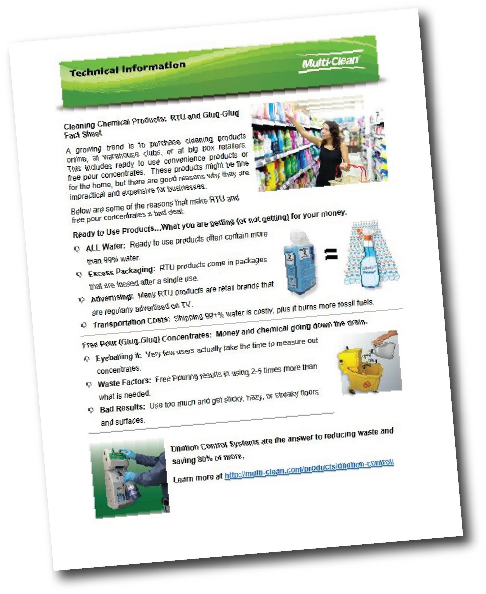 Multi-Shine glass cleaner, Foamy Mac restroom cleaner, and Century Q disinfectant make up the product line. 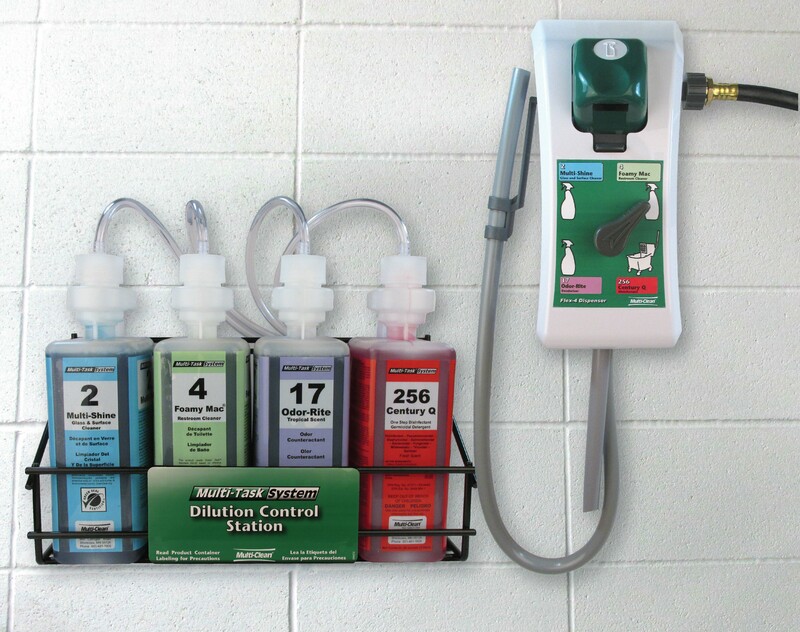 The new Flex-4 Dispenser handles 4 different products. The Flex - 4 Dispenser is a great way to easily dispense Multi-Task concentrates. 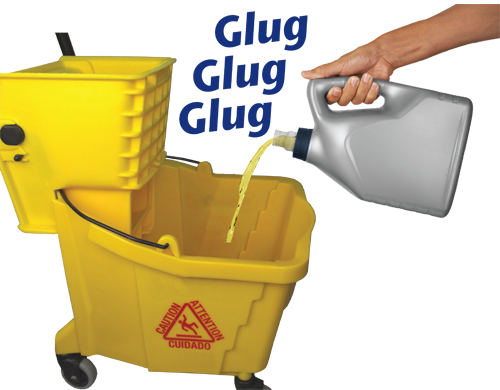 Fill spray bottles, buddy jugs, mop buckets, auto scrubbers. Dispenses four products at 2.5 GPM. This unit accurately dispenses 2 high performance concentrates with the push of a button. Connect two units together to create a four product dispenser. 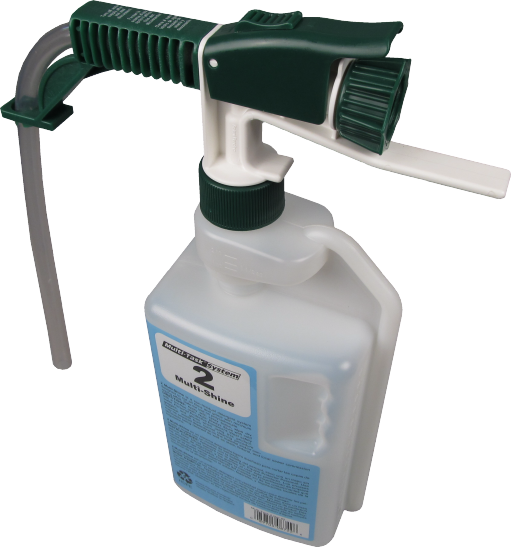 Portable spraying gun allows quick and easy dispensing of Multi-Task concentrates. Portable foaming gun allows quick and easy access to shower rooms for soap scum and mineral deposit removal. 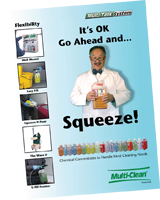 Dispenses at 10 GPM which makes filling auto scrubbers and mop buckets three times faster than other dispensing systems. Wall mount dispenser for food service areas. Battery powered mobile cleaning machine that delivers up to three Multi-Task concentrates for cleaning and disinfecting restroom surfaces. Wall mount dispenser for 3 basin sink warewashing. 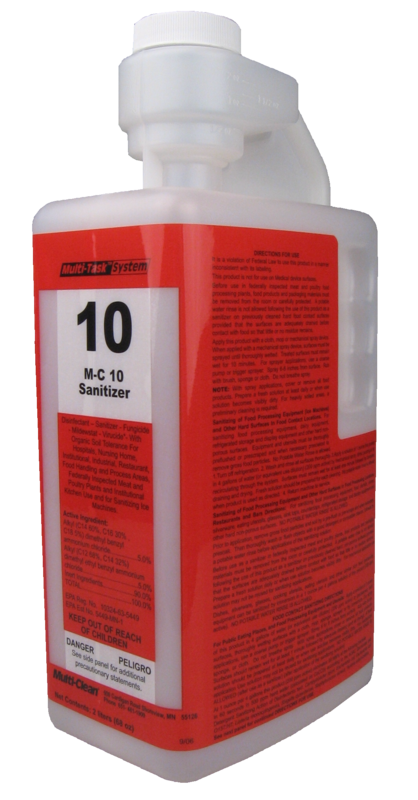 Use 15 Power Suds and 10 M-C 10 Sanitizer. 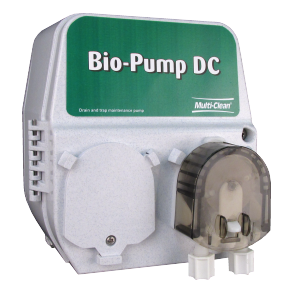 The Bio-Pump delivers enzymatic digester products for drain, deodorizing and special applications where timed dosing is needed.